We provide free and confidential counselling to men who have been victims of or affected by sexual assault and/or domestic violence. Our focus is trauma informed, client-centered, supportive and non-judgemental counselling. See Counselling for a list of services provided. 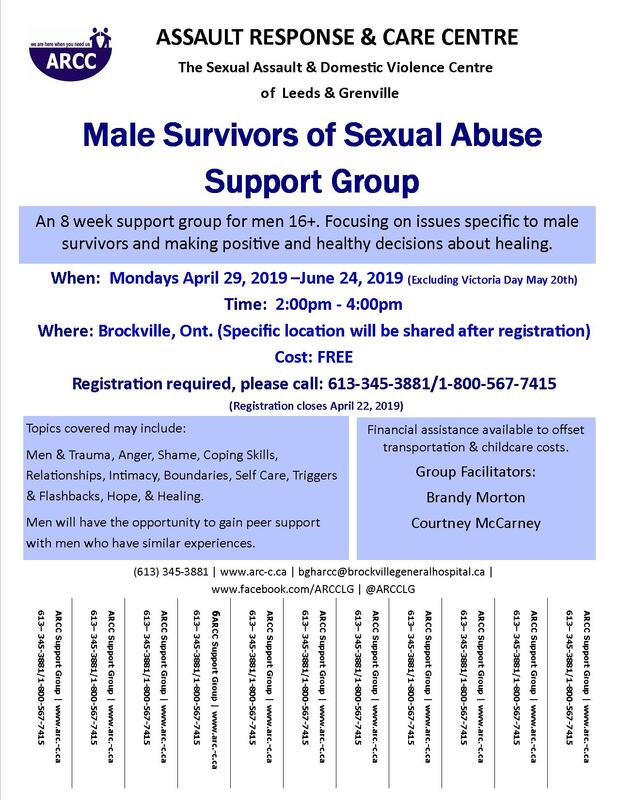 Our nursing team provides 24/7 specialized nursing care through the Brockville General Hospital’s Emergency Department for men who have been recent victims of sexual assault and/or domestic violence (also referred to as intimate partner abuse). See Nursing for a list of services provided. Throughout the year we may offer workshops and groups specifically for men who have experienced violence. Explore issues specific to male survivors. Become empowered to make positive and healthy decisions about healing. Have the opportunity to gain peer support with men who have experienced trauma. For more information on services available for men in our region please visit our Resource section. of Leeds and Grenville© 2019 All rights reserved.